I have been slandered, insulted and had my name dragged through the mud because I challenged the Annapolis establishments preferred candidate. I was called a plant, a fake Democrat among many other things. What’s more, the Democratic Senate Caucus spent untold dollars on advertisements calling me a Republican plant. This is completely absurd and wrong. These allegations have made it impossible for me to have a fair shot at running for office currently. Davidson’s claims that he has been “slandered” and that he is a progressive Democrat even as he scurries back into his hole remain untrue. He gave far more money to right-wing Republicans than Democrats and doth protested too much in his response after I pointed them out. He still has yet to deny any connection with Republican Christian Miele. If anyone has been slandered, it is the Seventh State. 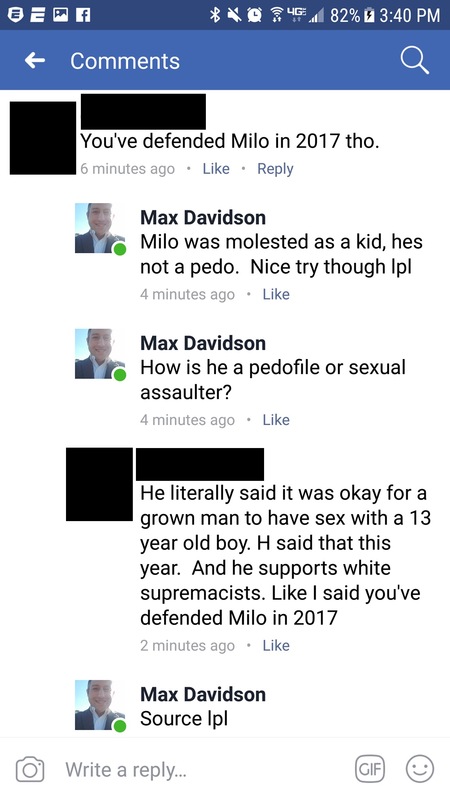 If “untold dollars” were directed by the Annapolis establishment to attack Max, I sure didn’t see any of them. I have never held any Annapolis job nor received a dime in payment from the Democratic Senate Caucus or any member of the General Assembly. 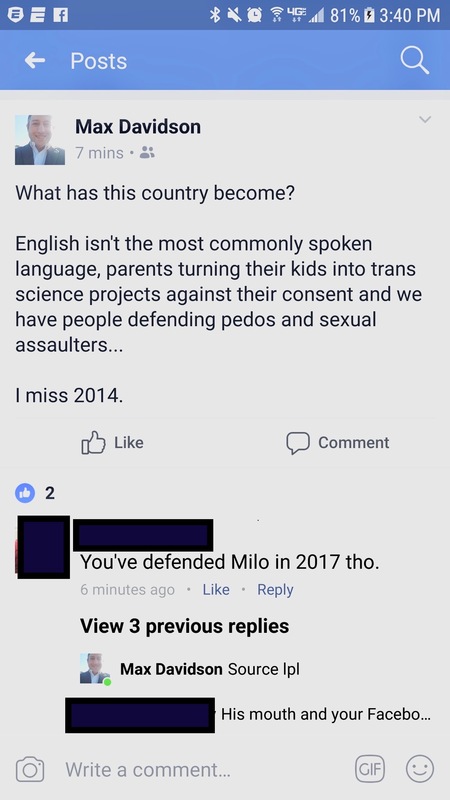 Attacking the decline of English dominance, transgender Americans and defending Milo sure doesn’t sound like standard progressive talking points. Trying to trash someone for not earning enough is also not the acme of class. 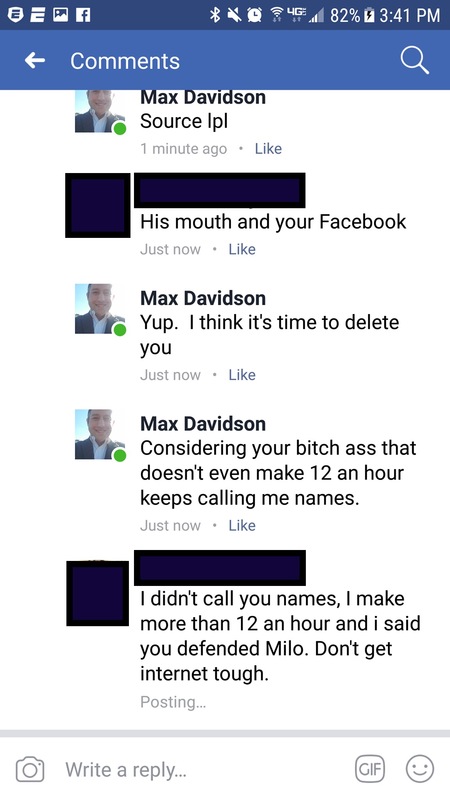 So long, Max. We hardly knew you. But what we did was more than enough.